Today, you will consider an update to the Bicycle Element of the Master Transportation Plan. I’ll grant that it’s better than the last one we adopted (I was there, serving on the Bicycle Advisory Committee at the time). But as I’m sure you’ve already heard from many, it could be better. And you should act to make it better. Without your action, it’s just another Arlington plan on a shelf, useless on its own. Arlington is very good at planning. Not so much at acting and building and enforcing. And over the past decade, Arlington County seems to have put less and less effort into action. Some of that is due to a staff leadership that seems satisfied with where we got in 2012, and (I assume) feels like things are good enough now. They’re not. And it’s on *you*, as County Board members, to understand and change that. The first photo, as you hopefully know, is of the new protected bike lanes on Quincy. They make it safe and enjoyable for my 8 year old to ride with me (and she’ll be taking them to school, when it’s time to go to Washington-Liberty). The second? That’s the substandard sidewalk on Park Dr. they’re forced to ride on to get to Barrett Elementary. Instead of providing a safe space for kids biking to school, the street is used for the public storage of private cars (despite the always empty parking lot right there). And with the sidewalk so narrow and encroached, I suppose it was only a matter of time until my son got knocked off his bike (by an adult, no less, who hurried away). Her swinging purse straps grabbed his handlebars and it slammed him to the ground. But at least we’ve got free on-street parking there, right? It’s not a choice you have to make, though. You have another. You can improve the Bicycle Element and then tell the County Manager that you will hold him accountable for *acting* on it. Mr. Schwartz does not appear to have his own interest in seeing the plan implemented, but I am certain he’s interested in being responsive to you. So use that – use your authority as County Board members – to choose a better and safer Arlington. Thank you. Arlington Resident Since 1997, and on behalf of McKenzie (since 2010), Alexander (since 2014), and Benjamin (since 2016). The Tuesday, June 14th Democratic Primary has almost arrived! On that day, Arlington voters will pick their Democratic Party candidate for the County Board. We are residents of Arlington. We ride bikes. We support Erik Gutshall for County Board. Erik has a vision for Arlington as a place where riding a bike is a safe and comfortable transportation choice for everyone who wants to bike. Erik supports adopting a Vision Zero plan for Arlington, which calls for Arlington to eliminate death and serious injury from our roads through efforts to improve road design, education and policing. Erik supports Safe Routes to Schools, the program that encourages students to bike and walk to school, and he wants to see it expanded. Erik wants to see our police officers more engaged with the cycling community and utilizing bike patrols. And Erik wants to see Arlington earn the status of Gold Level Bicycle Friendly Community. Arlington used to be a leader among local jurisdictions when it comes to supporting people who bicycle. Now neighboring jurisdictions are surpassing us in funding, facilities, maintenance and support. Erik wants to reestablish Arlington as a leader, and knows that we have the staff and resources to do it, if Arlington County’s political leadership has the will. Erik recognizes that cycling is a fundamental part of our transportation network and should be treated as such. He recognizes that enabling more people to feel safe and comfortable biking is essential to moving more and more people as Arlington grows. You can read more about Erik’s position on cycling in Arlington here. We ask you to join us in supporting Erik Gutshall for County Board in the Democratic primary on June 14th and again in November.Turnout in the primary is even more important than usual. There are two ways to vote in the primary: in person at your regular polling location from 6:00am – 7:00 pm on Tuesday, June 14th, or absentee in person at the Courthouse Plaza through Saturday, June 11th. Click here for more information on voting in the upcoming primary. Working together we can help Erik win on June 14th! 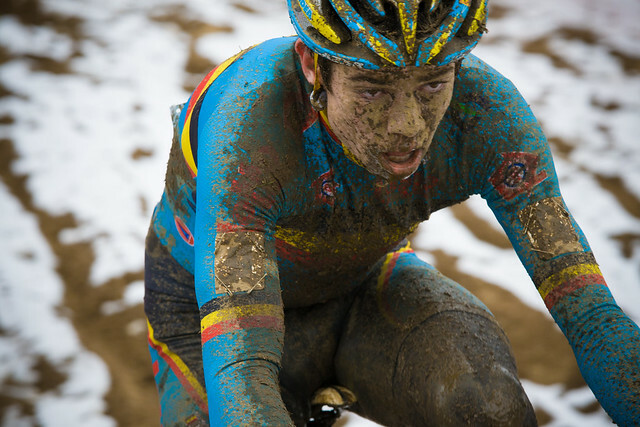 Traveled to Louisville, Kentucky, for the UCI World Cyclocross Championships. Wasn’t expecting anything in particular,m including the fantastic time everyone had. Here it is, in pictures. Make sure you turn the captions on. Tonight, McLean Citizens Association will host a Town Hall meeting with several local legislators, including Delegate Barbara Comstock. Delegate Comstock cast the deciding votes last year to kill two bills that would help protect bicyclists: 1) A bill that would prevent motorists from following a bicyclist more closely than is reasonable. Virginia appears to be the only state where bicyclists are excluded from “following too close” provisions; 2) A bill that “Requires drivers to exercise due care to avoid colliding with a pedestrian or the operator of a human-powered vehicle.” Virginia is one of only four states without this provision. Both bills will be introduced again this year by Delegate Alfonso Lopez. Support from Delegate Comstock is key to their passage. Why not attend this meeting and ask Delegate Comstock to support these bills? The meeting is 7:30 p.m. – 9:30 p.m. at the McLean Community Center, 1234 Ingleside Ave, McLean. I hope you’ll let her know what you think of this. I suggest a full screening of this. This week’s piece tracks the theme of the season. Zero snark or irony here – I’m genuinely thankful for all of these things. If it’s July . . . I do not take calls during HC climbs or the last 5k.